A U.S. Africa Command (Africom) review of drone strikes in Somalia targeting al Shabaab militants has found that two civilians were killed last year, marking the first time that the U.S. military has acknowledged that civilian deaths have resulted from its airstrikes in the strategic country located on the Horn of Africa. not from the airstrikes investigated by Amnesty. "During a commander-directed review of airstrikes conducted in Somalia since 2017, U.S. Africa Command learned an April 1, 2018 airstrike killed two civilians," said an Africom statement. "The commander, U.S. Africa Command directed the review due to a recent increase in airstrikes and continued interest by Amnesty International and Congress on civilian casualties," the statement continued. 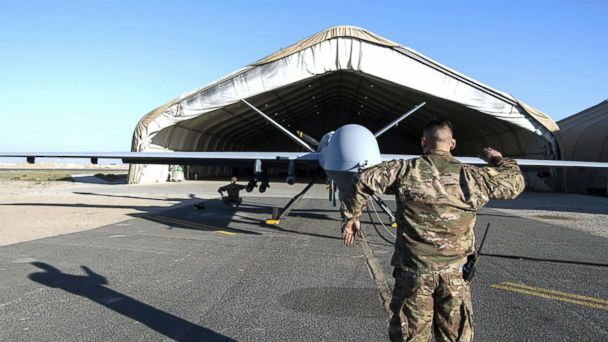 The United States has been conducting drone strikes in Somalia since 2011, but the pace has increased significantly in recent years partly to the authorization of offensive airstrike against al Shabaab that was approved by President Trump in March, 2017. Previously only "self-defense" airstrikes could be used if U.S. military advisers and the Somali troops they were working came under attack by al-Shabaab forces.. So far this year there have been 28 airstrikes in Somalia. a pace that would overtake the previous high of 47 in 2018. "Credibility, transparency, and accountability are fundamental to military operations," said U.S. Marine Corps Gen. Thomas D. Waldhauser, the commander of U.S. Africa Command. "It is critically important that people understand we adhere to exacting standards and when we fall short, we acknowledge shortcomings and take appropriate action." The review found that two civilians were killed in the April 1, 2018 airstrike near El Burr, Somalia that killed four al Shabaab militants. The initial assessment of that airstrike also found "credible evidence" that two civilians were killed, but Africom said that finding "was not properly reported to U.S. Africa Command headquarters." "Because of the reporting error, U.S. Africa Command was not informed of the assessment's conclusion-and subsequently the information was not reported to external authorities, such as the host nation and Congress," said the statement. Nor was it included in Africom's press release about the airstrike that was issued on April 2, 2018. Africom said that it believed the reporting error was "an isolated occurrence" and is being addressed. Gen. Waldhauser ordered the review after Amnesty International issued a report entitled "The Hidden US War in Somalia" that was the culmination of a nine-month investigation of five U.S. airstrikes. Amnesty International said its investigation found that the airstrikes had resulted in 14 civilian deaths and injuries to 8 others. "AFRICOM's acknowledgment of civilian casualties is an important step forward from their previous denials of any civilian deaths or injuries from US air strikes in Somalia,: said Daphne Eviatar, the director of Security With Human Rights at Amnesty International. "But this is only a first step. We still need new investigation procedures and all cases of civilian casualties we have documented re-investigated," she said. Africom is continuing to review previous airstrike casualty assessments said a spokesperson for the military command. "Airstrike assessments are a critical and continuous component of operations," said Marine Corps Maj. Gen. Gregg Olson, U.S. Africa Command director of operations. "Trust and credibility are central to our operations. If an innocent loss of life occurs, we are committed to being transparent and learning from this regrettable incident to prevent future occurrences."